Great sounding press. Top quality in all respects. RTI hit a homer with this album. I would first say 5 stars for the sound quality and vinyl colour design. Really impressed with this company. The Willie Nelson - Yesterday's Wine release also sounded and looked fantastic. Low rating for the song "African Man". Wow, what can I say about that song really that hasn't already been said? So incredibly racist and wrong on so many levels; if he hasn't issued an apology I think he ought to. That song really sours the whole album for me, but otherwise it sounds great but not quite as epic as the first 3 Stooges albums (no pun intended). Sounds oh so good Suzy. High definition audio here. Excellent clarity, drums have a powerful punch, vocals crisp, guitar cuts, big, bold sound on this one. Nice and quiet pressing with no flaws. "The Endless Sea" is a particular treat. A very crankable pressing of this often panned Iggy lp! Any photos of the coloured vinyl, anyone? As well as the insert? Can someone post it please? This is a terrific album. As a major fan of Bowie & thus the Iggy albums he was involved in, I missed out this one for a long time. Got it on this lovely purple vinyl & it is excellent. Really strong, despite Bowie missing. Only frustration is it doesn't include a digital download, which is lame. Awesome pressing. From the original master tapes. If you can't find or afford a decent original copy, get this pressing. Don't get the Music On Vinyl pressing, they use high res digital files. 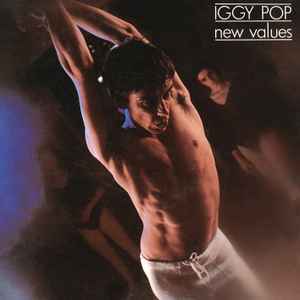 I really wish Sundazed would reissue Iggy's Bowie albums. The Men With Beards editions of those albums sound horrible! E-mailed them and they used digital hi-res files for this reissue. Bummer.